This is actually my first movie review for The Late Night Session. What a great first movie to review though. Avengers: Age of Ultron is the follow up to The Avengers movie (Avengers Assemble for the UK fans) and despite a couple of minor sub plot mis-steps it is bigger and better than the original. To keep things spoiler free as much as possible I’ll quickly summarise the story that you would have already established from watching the numerous trailers that have been released in the huge lead up to this movie. The film opens with a grandiose action packed beginning that relates to the main Hydra theme of Captain America: The Winter Soldier and the TV series Marvel’s Agents of S.H.I.E.L.D.. 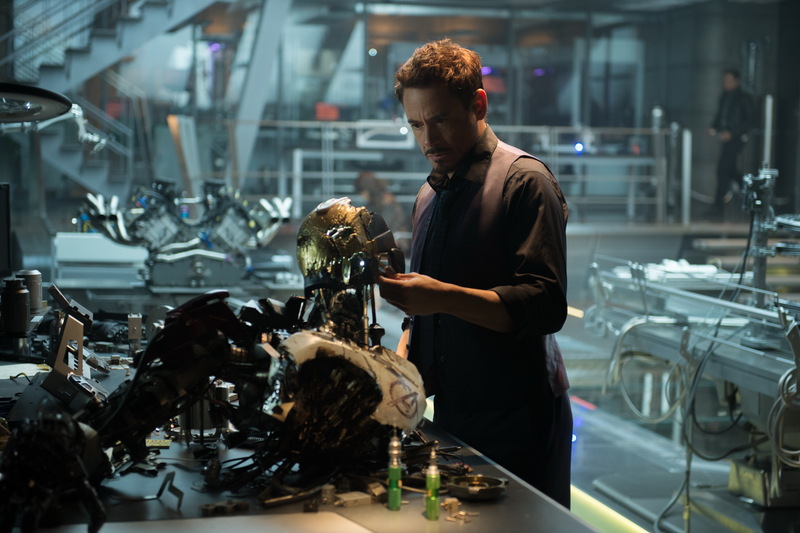 Shortly after the main antagonist Ultron is created as part of a program headed up by Tony Stark (Robert Downey Jr.). Clearly from the outset Ultron makes it known that the best solution to helping humanity is to wipe them out completely and start afresh. I won’t go into any detail with how he plans to do that but James Spader plays a great bad guy here who has enough wise cracks to keep Tony Stark / Iron Man on his toes. Tony Stark (Iron Man) having the best intentions when creating the megalomaniac Ultron. The whole gang is back, although it seems to race at breakneck speed at the beginning so certain themes you would have thought should have been explained are not. For example, little is explained about Iron Man since the conclusion of Iron Man 3. The Avengers are in full swing at the start of this movie. The visual effects and CGI have improved from even the last movie and the set pieces through out the movie are just excellent. Hulk in particular (played by Mark Ruffalo) looks amazing and has a lot more facial expressions and life like behaviour than ever before. You wouldn’t like me when I’m angry. Hulk is a formidable foe against Iron Man in his Hulk Buster suit. As per the one of the movie trailers the huge fight between Iron Man in his “Hulk Buster” suit and the Hulk is just simply outstanding, and for me one of the highlights of the movie. This also reminds you just how destructive the Hulk can be. I won’t lie, I’m a huge fan of the big green guy so I was always exceedingly happy watching him onscreen. This great set piece is one of the highlights of the movie. Thor seems to get more screen time with this film too. He really shows some true power and it reminds us why he is the God of Thunder. It was really good to see him pull off some impressive feats compared to the first outing. One of my few minor complaints was that they have a small subplot involving Thor that seemed to be very heavily edited to the point where I wasn’t completely aware of what was going on. If you don’t know the comics (luckily my wife did and filled me in) you would probably struggle to understand Thor’s sub plot with the brief time it was shown. This is one film where I think another 10 minutes might have actually added some necessary back story and filled in the details just a little bit more. In fact a lot of the characters get fleshed out quite well, particularly Black Widow (Scarlett Johansson) and Hawkeye (Jeremy Renner). Allies having a very brief respite. The tone of the film is definitely darker this time round and you probably won’t find yourself laughing quite so hard as you did in some of the scenes of the original Avengers flick. Having said that there are still some lighter moments you’ll definitely find yourself chuckling over. One of the exchanges between Iron Man and Hulk during their huge battle is pretty damn funny. There are also some very touching moments in the film too. Two of the newcomers and very impressive too. 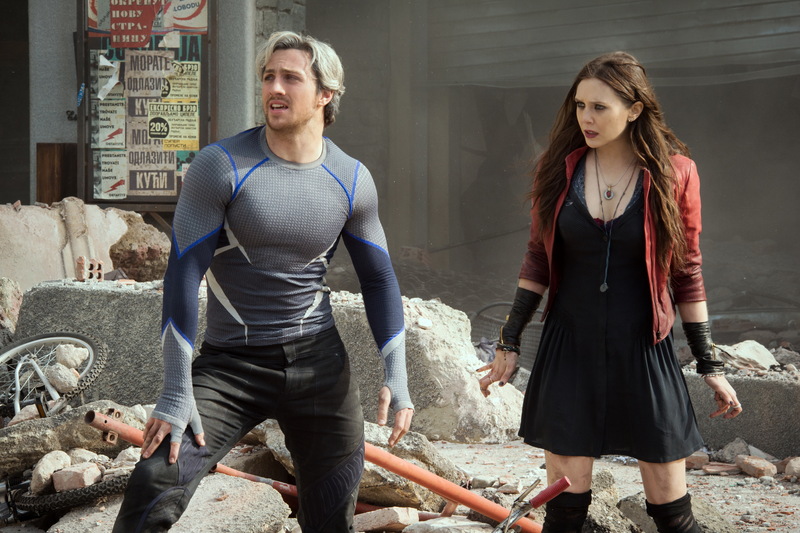 Quicksilver/Pietro Maximoff (Aaron Taylor-Johnson) and Scarlet Witch/Wanda Maximoff (Elizabeth Olsen). Avengers: Age of Ultron is a great follow up to The Avengers and Captain America: The Winter Solider and I really don’t think too many viewers will be disappointed. I will say that apart from needing a bit more time with some sub plots it is a definite winner. Those who have read the comic books religiously will note there are some minor deviations to the story that some have not liked (my wife included) but despite these deviations there is a still a lot to love here. 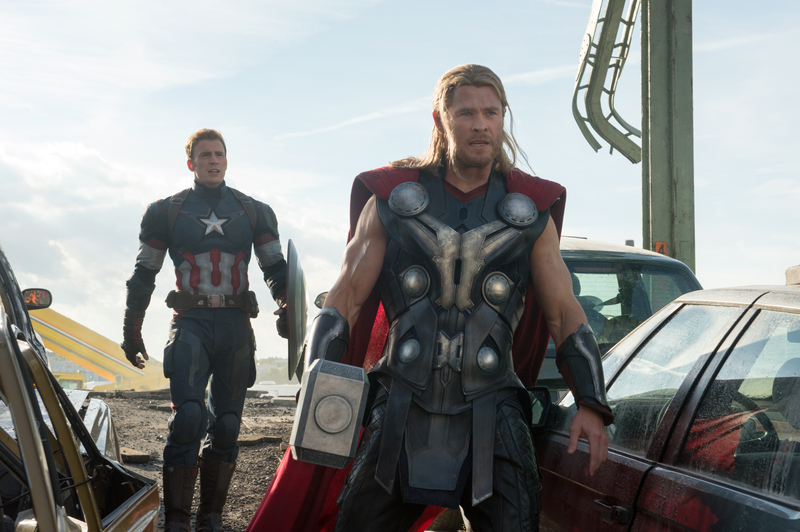 In short Avengers: Age of Ultron is a great sequel and well worth the trip to the big screen.